Browse: Home / The Anti-Christ? Although having abandoned Christianity as a teenager and subsequently dismissed all religion as mumbo I’ve begun to reassess my views in recent times as developments increasingly suggest the Bible prophesy stuff might not have been so daft after all. One of the most remarkable has been the self-destruction of the Catholic Church which has gone into overdrive under the present Pope who, in his short reign to date, has come out with more heresies than all the other Popes combined. Watching the antics of this one man wrecking-ball brings to mind the testimony of former United States Communist Party member, Bella Dodd before the House on Un-American Activities in 1952. The Communist Party in the 1930s “put eleven hundred men into the priesthood in order to destroy the Church from within. Right now they are in the highest places, and they are working to bring about change in order that the Catholic Church will no longer be effective against Communism. The change would be so drastic that you will not recognize the Catholic Church.” And we all know with whom the American Communist Party was synonymous, don’t we? 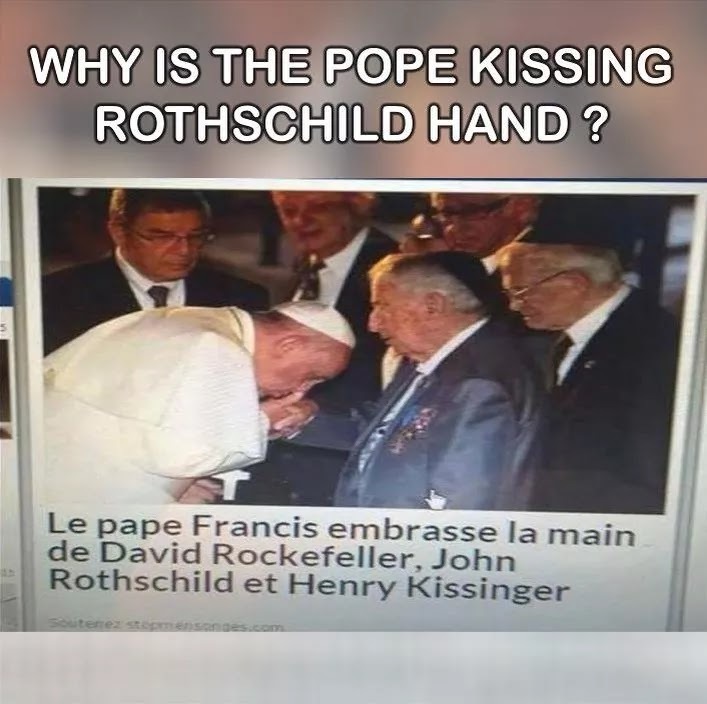 In case you’re in any doubt watch Comrade Francis bow and kiss the hands of Satanic NWO Supremos Rothschild, Rockefeller and Kissinger. (Here’s the video).